"Before I started travel training, I hadn’t caught the bus much, but I was excited to learn. Now I can catch the bus on my own!" 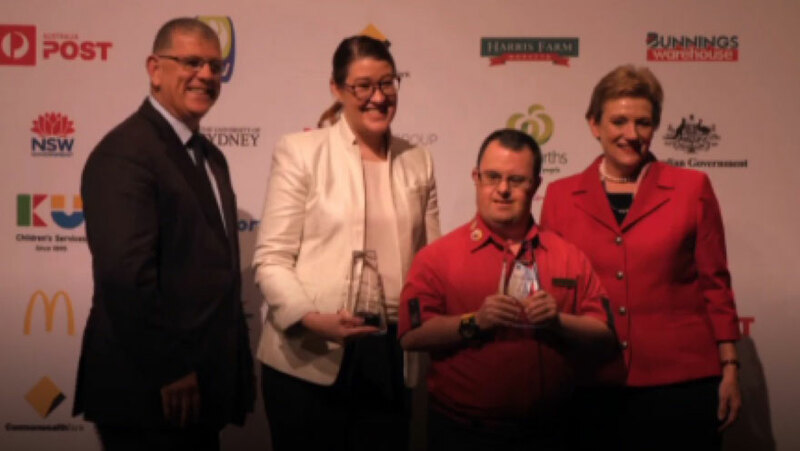 Jobsupport is the leading employment service in Australia for people with intellectual disability. 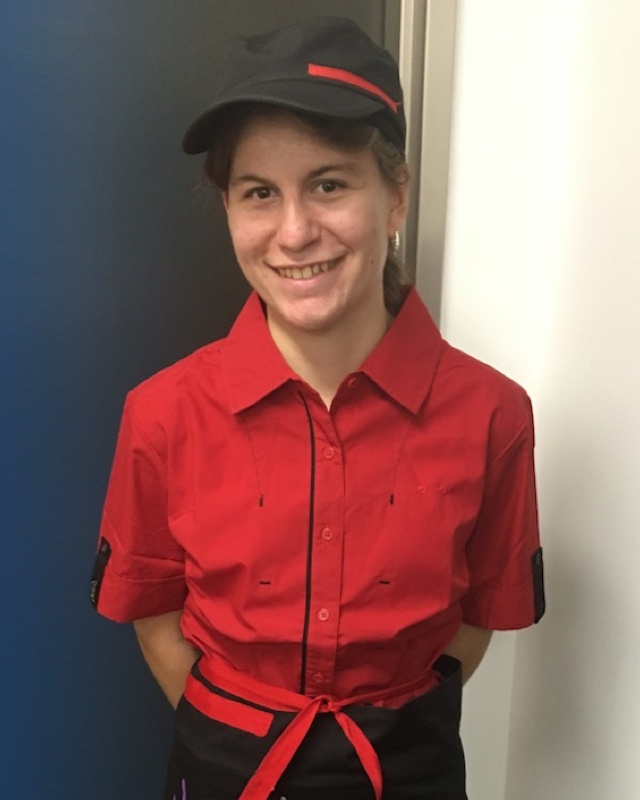 "I love delivering trays of food to customers and getting a smile from them. I like meeting new faces as in different cultures." 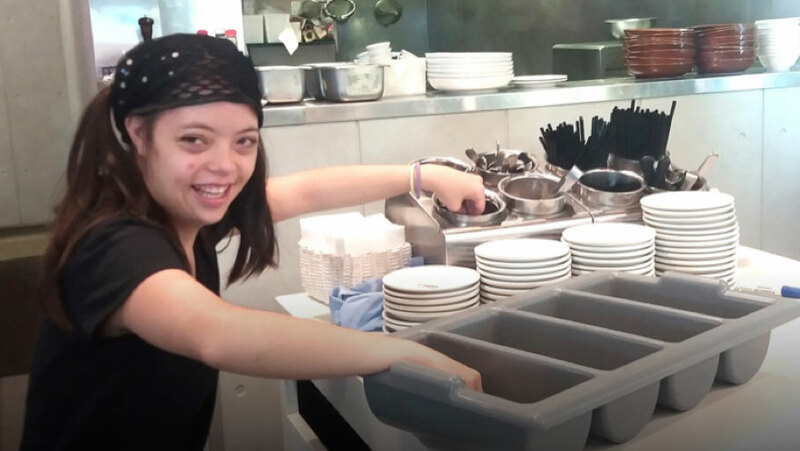 Jobsupport Transition is a highly successful work experience program that helps school leavers with significant intellectual disability (≤IQ60) aiming to get a paid job in open employment. 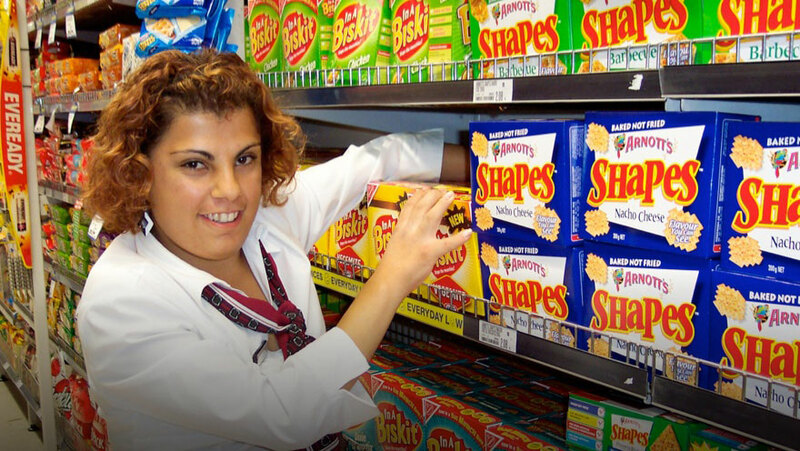 This support is funded by the National Disability Insurance Scheme (NDIS) as School Leaver Employment Supports (SLES). The best place to learn about work is in the workplace. Classroom courses are not effective for preparing people with significant intellectual disability for employment because they have difficulty applying what they learn to new settings. Jobsupport Transition uses long-term work experience placements set up to be as much like paid jobs as possible. Each person receives individualised training and support from a staff member based at each work site. target training at achieving your transition goals. We will place you at a work site that fits with your interests and goals. This ensures that support fits your individual needs to experience a ‘shot of success’ to build your confidence and motivation for work. Our focus on individual goals and barriers means that we are able to move participants into paid employment faster than a set training program. Although support is available for up to two years, most participants achieve paid employment earlier, some within the first year of their support program. University-accredited training is provided to Jobsupport staff. Jobsupport Transition managers have worked in Jobsupport’s open employment service and have direct experience of placing and maintaining people with intellectual disability in open employment. This skill and experience helps managers and staff identify what is most important for you to become ready to move into a job in open employment, and help you set the most appropriate transition goals. When you meet your transition goals you are ready to begin open employment. Jobsupport Transition links you with Jobsupport’s Open Employment service. access to high quality job search, job training and support that will continue throughout your working life. The NSW Government publishes open employment outcome results achieved by NSW Transition to Work (TTW) providers. Results have been published for 2004 to 2013 school leavers commencing in NSW TTW. 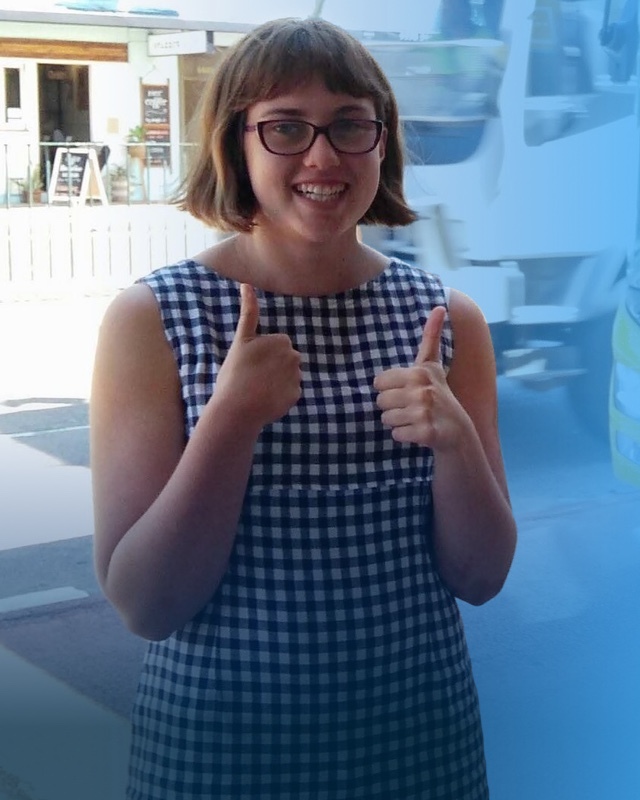 Jobsupport has placed the highest number of school leavers in open employment (331) and has the highest open employment outcome rate (65.2%) in the Sydney metropolitan area. Although open employment is our goal, some people do not achieve this within the two-year funding period. Jobsupport Transition has assisted some of these clients to access supported employment or day activity programs. Jobsupport Transition works to ensure that no one is left without suitable support at the end of their School Leaver Employment Support funding.